Today I’ve been doing a trial day with the Centre For Social Innovation in New York City. 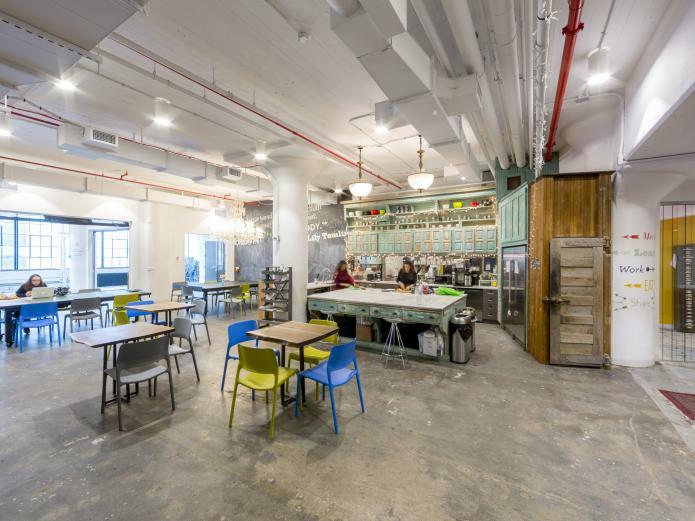 I received a friendly welcome and a formal tour (in stark contrast with the other NYC co-working space I recently blogged about). The spaces are big, open, rustic and funky with heaps of individuals and teams working here. The kitchen here has composting, recycling and a shelf in the fridge for free food. It’s packed with people, but not in a sardines kind of way because the space is massive. A new women’s space just launched (for businesses focused on social impacts for women and girls). Very amazing. I also met Danny, the New York based co-founder of one of my favourite Australian companies Who Gives A Crap. Being a total fan girl of this amazing toilet paper, I believe I acted like a total fan girl, crapping on (get it, get it?) about how I gift the toilet paper as Christmas and wedding presents. Total rock star moment for me. Oh and the lovely host asked me all about my social enterprise start-up and said she’d think of a few people to connect me to for chats. Given the minimum term here is 6 months, I’m feeling very blessed to have the opportunity to hang out here for 4 weeks. I guess I better toddle off and do some work now!